It was the mid-sixties and was a time when some of the most outstanding films which were later to be known as classics and cult films were being made. 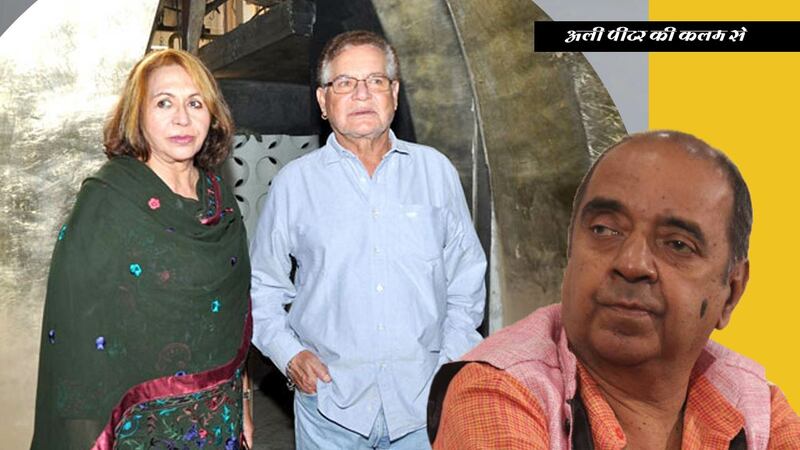 Vijay Anand’s“Teesri Manzil”which he produced for Nasir Husain (the uncle of Aamir Khan) was one of them. Like it happened mostly in the case of the Anand brothers, Dev and Vijay Anand, it was Dev Anand who was to play the leading man, but there were some last minute problems and Shammi Kapoor was chosen to play the hero opposite Asha Parekh, which was to give Shammi Kapoor a new lease of life and the film also made R.D Burman a composer who was creating some kind of a revolution in the world of Hindi film music. Helen who was at the peak of her career as the star-dancer was also one of the highlights of the film and a young and handsome, but struggling actor called Salim Khan who was known as Prince Salim was one of the character actors. The film took its own time to make and the way Vijay Anand was shooting it sent out signals that there was a big surprise in store for all lovers of Hindi films.